Melanoma not caused by sun: It's not always linked to sun exposure. Cause of rare acral and mucosal melanomas not linked to sun exposure, study finds. Australian scientists have discovered that the danger of melanoma is not just related to sun exposure. New research by the QIMR Berghofer Medical Research Institute has found that two rarer forms of melanoma have different causes to skin melanoma. But what those causes are needs further investigation. The two forms examined as part of the research were acral and mucosal melanoma. They are not caused by sunlight, unlike melanoma of the skin (cutaneous melanoma), which is strongly linked to UV radiation. Acral melanoma occurs on the palms of the hands, soles of the feet and nails, while mucosal melanoma occurs on internal surfaces including the respiratory, gastrointestinal tracts and the mouth. John Pearson, lead of the genome informatics group and co-author of the paper Whole-Genome Landscapes of Major Melanoma Subtypes, said they now know melanoma was not just associated with skin and sun exposure. “The way we divide melanoma up is where it occurs on the body,” Mr Pearson told ABC Radio Brisbane’s Terri Begley. “The sort of melanoma people are used to is the skin version, but these are much rarer versions. “They are much harder to detect and that’s why we’re paying more attention to them. 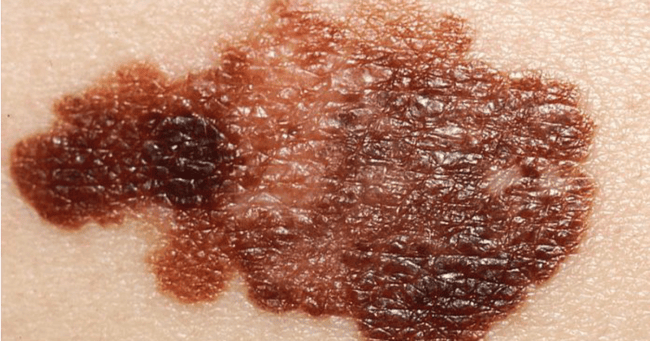 Fellow researcher Professor Richard Scolyer, of the Melanoma Institute of Australia, said the study was the biggest genomic study or DNA study of melanoma to date. “The genetic footprints we’ve seen have never been described in any cancer before,” he told ABC Radio Sydney’s Robbie Buck. “This is the first time anyone has looked at the entire genetic sequence of melanoma in a large number of melanoma patients. He said acral melanoma was also the same melanoma that musician Bob Marley died from. Scientists hope the study will help give them a better chance of finding more targeted treatment for the rare melanomas. “These new subtypes are being driven by something else,” Mr Pearson said. Mr Pearson said scientists hoped to find the missing piece of the puzzle — the cause of the melanomas — with further research. “An ounce of prevention is worth a pound of cure as the most common form of melanoma is still the skin version,” he said. “We want to find a slip, slop, slap equivalent for acral and mucosal melanoma. QIMR researchers received new funding last year to dive deeper into the acral melanoma subtype.